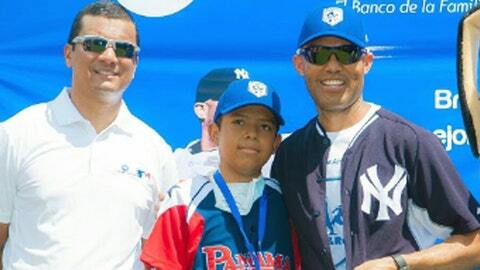 Mariano Rivera (right) will be honored during the Yankees' spring games in Panama City. Does Mariano Rivera miss spring training? After 19 seasons and a major-league best 652 saves, of course the recently retired Yankees great does. But it must be odd to not be in Florida this time of year as Rivera has done for 20-plus preseasons of his 44-year-old life. “It’s a little different,” Rivera said in the conference call. 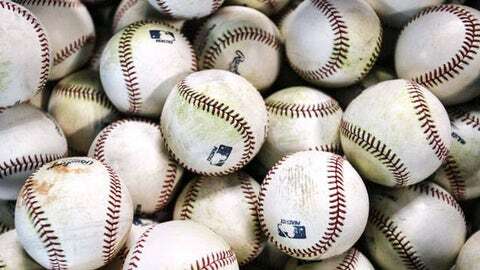 “I’ve been doing (spring training) so many years. But I know exactly what I needed to do. “It’s not like I don’t know what I’m doing. Later this month, the Yankees will visit Rivera’s home country to play the Miami Marlins in two games on March 15-16 in Panama City. The event, billed as the Legend Series, is Major League Baseball’s first visit to Panama since 1947. Proceeds will go to the country’s largest pediatric hospital, the Children’s Hospital in Panama City. Rivera will also be honored for his legacy during the Series as the 2003 World Series counterparts face off in the two exhibition games. “It means a lot to me and I want to thank the teams, because it’s an honor and privilege to have the Marlins and my ex-teammates in my beloved Panama,” Rivera told MLB.com. Rivera, who debuted with the Yankees as a 25-year-old in 1995, also had a few comments about Derek Jeter and the shortstop’s announced retirement after the 2014 season. “I didn’t see (Jeter’s retirement) coming at all,” Rivera said. “For sure, I was one of the guys that thought you would have to pull his uniform off his body to take him out.